In this first post of a series about https://github.com/jarektkaczyk/eloquence – the package that allows working with eloquent models in even simpler manner – I’m going to introduce you to the searchable feature of the builder class. For the presentation it is enough – simple m-m relation between Users with friends being pivot table. In the users table we store only email and username and in profiles table real person data like first_name, last_name etc. Obviously password, timestamps and other fields as well, but we don’t care about them right now. Now, in order to find a person, let’s can use combination of a few fields: users.username, users.email, profiles.first_name, profiles.last_name, friends.first_name, friends.last_name. It’s pretty simple but it lacks crucial search factor – relevance score. Also, it makes no sense to search friends because of that. The columns here are relation mappings – these are normal relations defined on the models, no need for anything else. Number next to the columns are weights for each one of them, so we can define their importance in the scoring. This is how Eloquence\Builder works – automatically joins related tables, adds some clauses for performance and orders results by search relevance. Idea for this feature and scoring algo is based on this package https://github.com/nicolaslopezj/searchable , but it provides much more flexibility and is easier to use, and most importantly it’s 4 times faster (or even better depending on the additional where clauses applied on the query). Below a few examples of how you can control the way searching works. It also affects the speed obviously – fulltext search won’t take advantage of the indexes, and it can get pretty slow on big tables and/or multiple joins. If that’s the case you may want to disable fulltext searching and use right-hand wildcard (word*) instead, if that suits your needs. Give it a try and leave your feedback in the comments. This is so promising, Great Job! This is awesome extension to the Eloquent!!! I really like your Eloquence package and I think Taylor should think about adding it to the framework. Show me your model and what you expect to happen. OK, that was my first guess. Glad you sorted it out. I like to use @Jarek ‘s package. He is very helpful to the community :). Taylor should hire u.
Hi, been using this package on a project and it works really well. However, I have a question.. I have a table with the searchable columns `Title` and `Description`. The model has been set as well as the weights (Title => 35, Description => 5). Title has the complete phrase > Title has all the words> Description has the complete phrase > Description has all the words. I just tried those and it seems that search is doing an “OR” operand instead of an “AND” with the words? I mean an object with just “word1” will also be in the results instead of an object with “word1”, “word2”, AND “word3”? Or am I doing something wrong? Thanks a bunch! Depending on which option you use, it will look for the phrase only (option 1) or phrase + each word separately (option 2) with order of relevance as you requested. I was using Option #2 from what you gave. I was expecting results to be returned which include each word, not each result containing at least one of the words. I’m in the middle of something. I will get back to it. Does this mean that its not possible for searchable to fetch results which inlcude all the words? It will include even partial matches (i.e. Only word1, or word2, or word3)? Thanks for the quick reply. Tried this but it seems ‘search’ is doing an “OR” operands with the words because im getting results which contain either word1, word2, or word3 whereas I was expecting results which contain all the words. Hey mate, I played a little with your case and it seems that currently it is impossible, since wildcards are stripped form within the phrase. I need to update the package, because it suffers from aggregate function changes in the core, so I will also make it possible to do what you need. It is pretty fair use-case. Be patient, should be there today/tomorrow! notice spaces – leading, trailing, as well as surrounding asterisks. I updated composer and see that there was one, but when I follow your above example, it gives me no result. Care to guide me? Thanks! I need some help, I got a big problem using Eloquence. I try to search inside a 6 columns of table A (reservations) and 3 columns of table B (guests) joined with table A with belongsTo relation. When I try to search “Brown” and the text is available on one of table B column (for example “guest.lastname”) the query returns the record correctly, but if “Brown” text in available only on table A column (for example “contact_name”) the query returns empty! Yes, that was the idea. Now, that we know what the problem is, you can easily resolve it. Just play around with the throsheld, starting with low values, like 0.1 – this will let you find the best config. YEAH!!! Thanks a lot! Awesome!!!! Thanks a lot for this man! Keep up the good work. Is this ever implemented? I really need AND instead of OR. I want to be able to search on multiple words and be presented with results that contain both words, not results with either of both words. I’m using your great package eloquence for full text search in my project. But on one page the client wants to have separate fields for each searchable column. Some of these columns are relations to other models. Each submit should be merged with previews search stored in session. So in addition to the default where() I have to make subqueries if one column has more than one value Can I build this with your package? I couldn’t find a way to concatenate eloquence queries? I tried this with Laravels Query Builder too but can’t get it to work. It is possible to join same table twice ? I am going to install your package, just wanted to know how to get many to many relation query? Currently i am using following query to match category name and product titles. How to get these kind of results with your package? I am using following code but it take around 6-8 seconds to get 10 results. I have products catalog of 60,000 products in MySql. Is there any way I can optimize it? First of all, make sure you’re using indexes on these columns (and they are being used by MySQL optimizer – EXPLAIN is your friend). Other than that there’s no way to optimize it – this package aims to be easy to plugin, simple to use, but with limited applications. If you need something more sophisticated, better optimized etc, you may want to consider 3rd party services, or create something customized that will meet your requirements. Thanks Jarek for your suggestions. I’d rather use `joins` or custom subquery than `whereHas`. has* methods are cool, but they don’t scale, so I use them only for simple stuff that are not going to hit performance in a way that would harm UX, and your search seems like such case. I just wanted to know how this works with query builder? Now I want to add conditional query i.e. But its not working, please help. I want to first get products that matches title & category, then product with title only. I’ve added category name with more weight than product title. 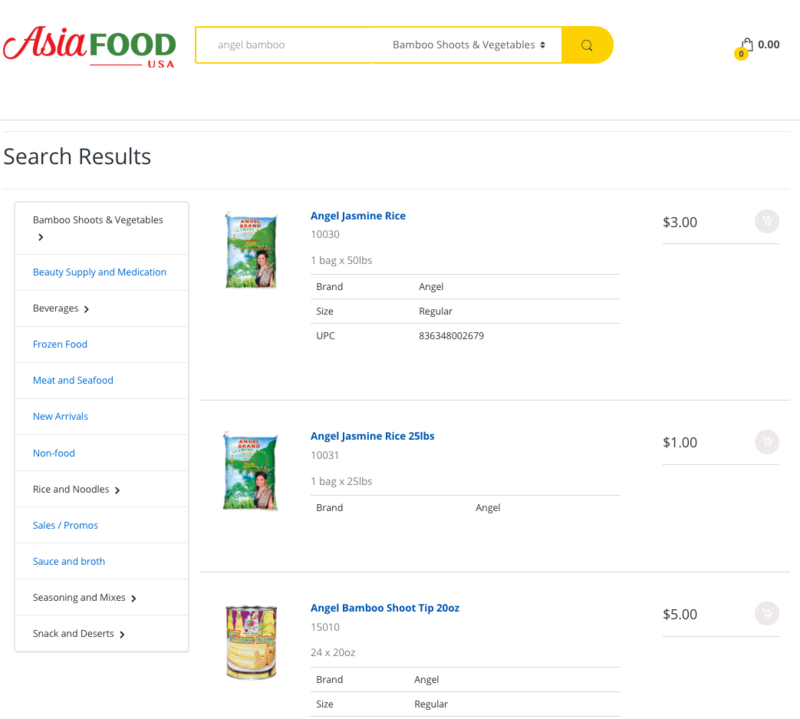 But search results gets product title matches first then products with title & category match. i want to search product [jeans pant] only in category [clothings] how to search using your plugin. Please provide me some suggestions. How to return nearest exact match? Like on the example, I am looking for: “angel bamboo” but it was on the third result instead of first? Currently, I’ve the below table structure where project has 2 relations with users table one to one(General Contact) and many to many(Technical Contact). I have used the searchable package but it search for only general contact / technical contacts not for both. How can set the configuration for both? How can we make searchable column between two dates? it doesn’t do that. the package is a pseudo full-text search, not a date range.